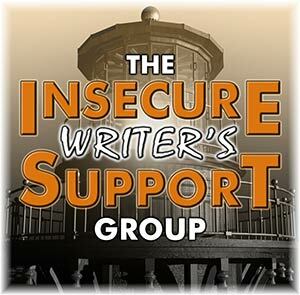 The Insecure Writer's Support Group was created by Alex J. Cavanaugh. December's co-hosts are J.H. Moncrieff, Tonja Drecker, Patsy Collins, and Chrys Fey. Please visit the other blogs. 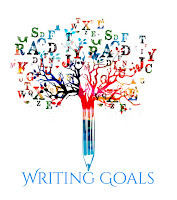 IWSG Day Question: What are five objects we'd find in your writing space? You know what they say about pictures being worth more than words. 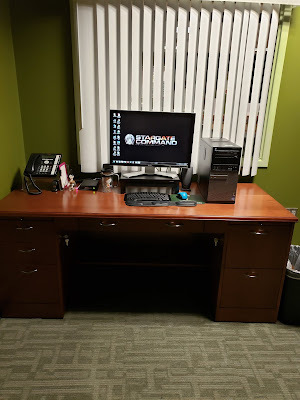 Above is an image of my new desk at the day job where I do some of my writing. And, yes, I do like to pretend I work for Stargate Command. This month's insecurity is two-fold. For one, it's been my lowest word count year since I started writing with publication in mind (since 2009!). The worlds and words are there, but the energy to transfer them from my mind to the screen has been lacking. With that finite energy, I've had to make some difficult decisions. I want to keep writing and publishing my work, so I'm finding ways for life to be a little less stressful. Starting in 2019, I will no longer participate in IWSG. I've struggled to keep up with visiting blogs on IWSG days for a while now. 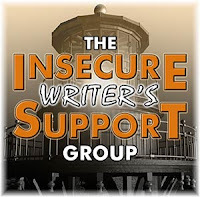 It's not fair to participate in writing a post for IWSG, if I can't put in the time to comment. So this post is my last one for IWSG and the last one for this year. I will still be blogging. I plan to post on the second Mondays every month, and I will be visiting, but at a much slower rate. I do hope you'll drop by every so often. 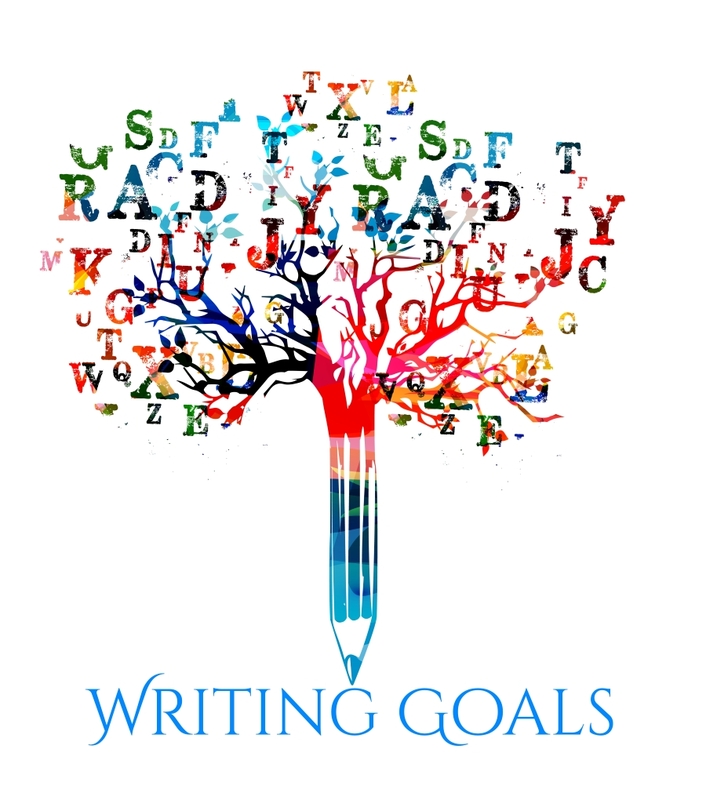 My goals for November started off well, but the fifteen minutes of writing a day very quickly fizzled. *sighs* It seemed like all I did accomplish in November was playing with my new phone (Samsung Note 9) and continue learning languages (German, Spanish, French, Klingon, Chinese, Greek, Dutch, Italian, Danish, Hawaiian, Portuguese, and Russian) through Duolingo (127 straight days as of December 4--and, no, I didn't start all those languages at the same time). My December goals are to relax, read, and try to finish the first draft of "Paper Faces." I'd love to publish Folds in Life and Death sometime in January/February, so "Paper Faces" needs to be written and edited ASAP. I hope everyone has a fantastic holidays. Untethered Realms is having a great giveaway. My next blog post will be on January 14. I totally understand. Blog hopping and reading takes up a whole day sometimes. I've cut way way back too. I also plan on taking a break after this the relax and put my energy into the season. Merry Christmas, Cherie. Relax. Enjoy. Savor the Season! I've been considering dropping out of IWSG too - for the same reasons. I really struggle to find the time to read other blogs and I don't want to just post without visiting. There's no point in blogging without the back and forth communication. Take care and enjoy the holiday season, Cherie! It does take a lot to keep up with comments today. That's why I only post twice a month. I wish my desk was that uncluttered. Hi, I can totally understand. I have restricted my blogging to just once a month, on IWSG day. I think this has kept me going. And like you, I too am lacking the energy to transfer my words and thoughts from my mind to my computer screen. Good luck with your future blogging and writing plans! Sometimes taking a step back from certain things can help to build our writing mojo back up, since it's no longer such a big focus or something we feel obligated to do. I'm sorry to hear you're leaving IWSG, but you need to do what works for you. It's a lot to visit everyone. That's a very neat writing space! Good luck with your writing in 2019.
Who doesn't want to work for Stargate Command? Be sad to see you go! I know quite a few members who just post for IWSG so they do have time to keep up. Yeah, keeping up can be an all-day event or 3 days or longer depending. I use to try to make all in one day, but now stretch over a week so I can get some writing in. Note 9 is one I'd like, but I have a Galaxy Emerg J3. You will be missed. Happy IWSG Day. It is hard to keep everything up and still write...almost impossible. Hope you get things balanced out! Go Stargate Command! Happy holidays, Cherie, and I'm sorry to see you go. It's always sad when the IWSG loses a long-time member, but I do understand. Blogging, especially returning blog comments, is such a huge commitment, and when you have little time to write, it can't be the priority. Here's hoping your writing mojo returns to you. I wish you well. I blog a lot less frequently now than I used to, and the time commitment is a big reason why. Too much other stuff going on for me to fully engage with the blogging world. The IWSG is one of the few things I manage to do every month. Or almost every month. You'll be missed from the group, but I'm glad you'll still be blogging. How goes the command? Happy Holidays! I know how you feel about the lack of energy. Last year, I decided instead of replying to comments on my blog, I'd go visit the commenters on their blogs and say something there. I also set Tuesday and Friday to read blog posts and comment. Having the dedicated time for blog commenting has really helped me comment regularly. Love your desk. I love the connections from IWSG so will continue it but it's stressful on these Wednesdays and Thursdays to catch up with blogging. I'm glad you'll still be blogging one Monday a month because I don't want to lose contact and blog those days. Keeping up with other blogs is definitely tough. I always feel like I don't get to enough. I'll definitely still pop in for your other posts! I will miss you but you do have to sort your priorities. Hope 2019 is good to you. Keeping up with other blogs is hard. (I do Weekend Writing Warrior, too.) So I understand but I'll miss you. Good luck with your writing. I struggle to keep up with IWSG for the same reason--it's just too hard to do every month. For me, anyway. I've been so stressed out lately, I just can't energetically fit it into my life very well anymore. I missed this month because I completely forgot about it! It's been a tough year for me and getting words written, too. I'm accelerating it now, as the year ends, but I hear ya on how hard it's been. I like your December goals, and it seems that's exactly what you need to be doing. Here's to revitalizing in 2019. I hope the decision works out well for your health and stress levels! It's good to see you taking steps toward your personal goals and life, even if it comes at the cost of the IWSG. Best wishes in 2019! I've slacked off posting for a while now, but I always try to post for IWSG. I've made so many writing friends through the group. But you have to do what you have to do. So sit back and recharge yourself for the long run. Good luck! This wasn't my best word count year either. I am hoping to get my act in gear. I can't blame it on anything other than the stress of regular life and working full time. I am hoping to dedicate more time to writing soon. Wow- that's a lot of languages you are learning!!!! I used to spend much more time blogging and visiting than I do now. You have to do what works best for you! I hear you about how hard it is to keep up with posting and commenting. I never get to everyone's posts on the day of the IWSG posting. It always takes me a few days to respond. And there's no way I can be online in the blog world more than once a week. There's too much going on in my personal life! You have to do what works for you. Cherie, that's quite a 2018 you had with writing and editing and all. Here's to an even better 2019 for you and yours. Can relate so well to a lack of energy making it difficult to transfer things from mind to paper. Whenever that happens, I can't help but feel broken, so I'm sorry to hear you've been going through this, too. Hope your new blogging schedule will help make things easier for you! And ooh, how exciting that Folds in Life and Death could be published so soon. Best of luck wrapping up the first draft of "Paper Faces" as quickly as you want! Kudos for finding ways to cut back! That's important (and something I infinitely struggle with). I hope that the new year brings you renewed energy and lots of words! I struggle with blogging too. I only blog once a month, and that’s for the IWSG. Something had to give. It was a good decision for me. Good luck to you, Cherie. Cherie, you need a Captain's Stargate or log to track your adventures.